mix water and yeast together, till yeast is totally melted. add half of the flour, mix it again. then add salt and oil. and pour the other half in the bowl and go on mixing. pour some flour on the kitchen table. and some on the floor. take the mix from the bowl. now it’s time to create the ball of dough for pizza which needs to rise. with strong movement press the ball of dough in between your hands, fold it half, press it, fold it again, press it and again and again till you have a sort of chewing gum. now it’s time to rise. put the ball under the bawl, inverted as a little house will cover the dough, which will increase of 2-3 times after leaving it rest for a couple of hour. 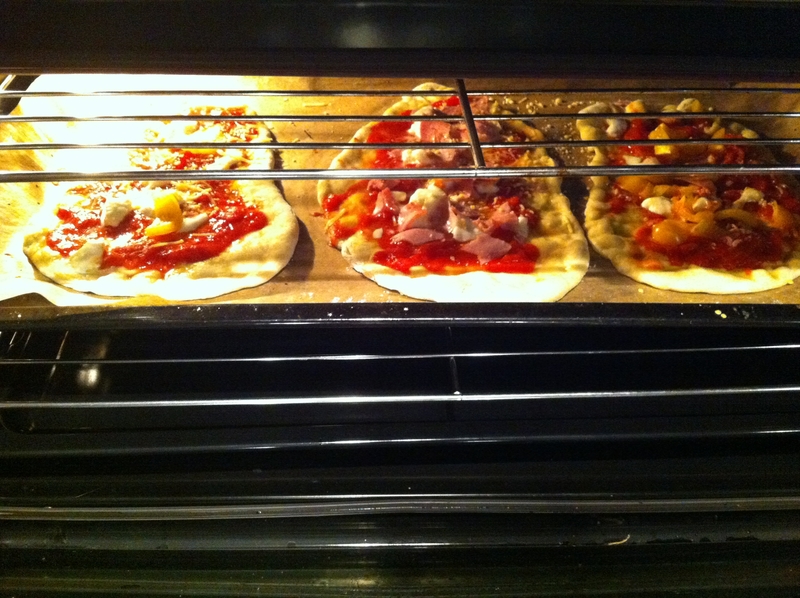 after the 2 hour is time to prepare the pizza. smooth the dough on the table and press it from the centre towards the border. with the palm of your hand in the middle. when you reached the size of a pizza is time to put it in the oven dish, taken out from the oven before warm it up! now it’s time to add all around the pizza the tomato, with the add of pieces of ‘nduja. 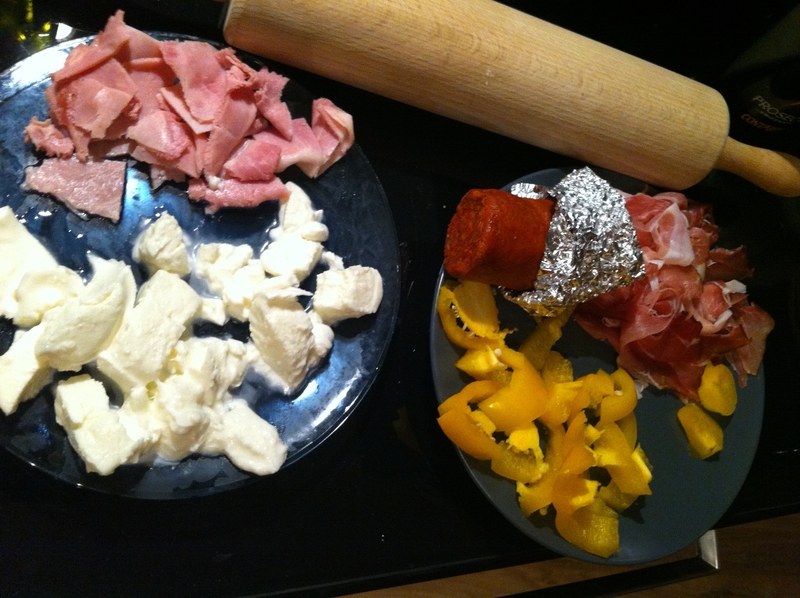 and the mozzarella, previously chopped in small pieces. and the ham (not the parma one, that only after oven if wanted). it can be obviously added some peppers chopped.and other ‘nduja. and then it’s time for oven! but check it out, you can get the right moment to extract the pizza from the oven only with your eyes, and from the incredible parfume of ‘nduja, all around the house. And it’s time to eat!!!! Unfortunately no picture of the pizza available, since once outside the oven all the neighborhood went bananas and ate the pizza still burning! What a pizza!